Sonic is back and Tails is not far behind! Robotnik is back with a new plan more badniks, you need to help Sonic going trough the zones collect the Chaos Emeralds and Kick the Doctor Robotnik's "EGG"! Tails is back! And this time he is alone! 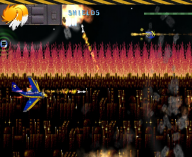 Play with Tails and the Tornado II and fight Eggman's evil Badnicks! Are you capable of showing Eggman who's the boss and free South Island from the hand of Fatty mc Fat?! 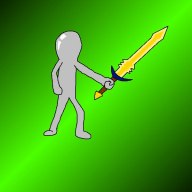 Another RPG, in which you play as a character by the name as Phil. Make friends and enemies as you adventure through the land to save the world! It's only a test version for friends and any other people, DON'T VOTE OR COMMENT NOW!!! Sleep Paralysis is a Survival Horror game. Hmm. You must have dozed off. You seem to be floating in nothingness. All you can see is white, wherever you look. All of a sudden, giant cubes materialize before you. Please don't complain about the game. The storyline hasn't developed far yet, so please do NOT rate this game. all of the rpg heroes has been killed by the 3 evil forces they are the boss. you are the chosen one to stop the evil forces. You play as Xander, the worlds best secret agent renowned for his ability to use the shadows to escape detection.